Are You Frustrated by a Growing Season that is Too Short? Are you frustrated by a growing season that’s too short? Dreading another winter buying expensive store-bought produce? Tired of fighting harsh weather, predators and pests? Feeling defeated about depending on ‘big food’ to feed your family? Sick of wasting time and money on unreliable hoop or rectangular greenhouse kits? Starting to feel like your green thumb is turning black? Ready to give up gardening because it’s just not worth it for so little return? Take Control of Your Garden. For Good. A new, flourishing world awaits inside a geodesic greenhouse dome from Growing Spaces®. Unlike traditional or DIY greenhouses – its geodesic shape makes it inherently stable and strong for its weight. It requires little to no energy to grow healthy, organic produce year-round. It harnesses energy from the sun, allowing you to extend your growing season and maintain a natural lifestyle. It stays bright and warm inside even through the depths of winter, but it can also create an ideal indoor environment in the desert. Our geodesic greenhouse kits create a new paradigm in solar greenhouse design and efficiency. It’s easy to install; you can do it with the family or other members of your group, school, or community garden. We make our dome using state-of-the-art materials and design them for rough terrain, gale-force weather, frosts, and hailstorms. With different sizes of domes and optional add-ons to choose from, the possibilities are endless. We’ve got the design, technical, and energy-efficiency aspects covered. All you need to do is select an ideal location, order the kit, install the structure, and start creating your indoor growing environment. Your growing options are extensive – from tropical and cold, hardy plants to raised bed and aquaponics. With its curved dome shape, you’ll have three different levels to grow lush foliage. Harness the power of growing your own. The Growing Dome greenhouse is a state-of-the-art greenhouse perfected over 25 years of business. Its unique and innovative design means the Growing Dome requires little or no heating, as it relies on the natural power of the sun to empower you to create your own indoor garden. The dome shape is immensely strong and wind friendly. 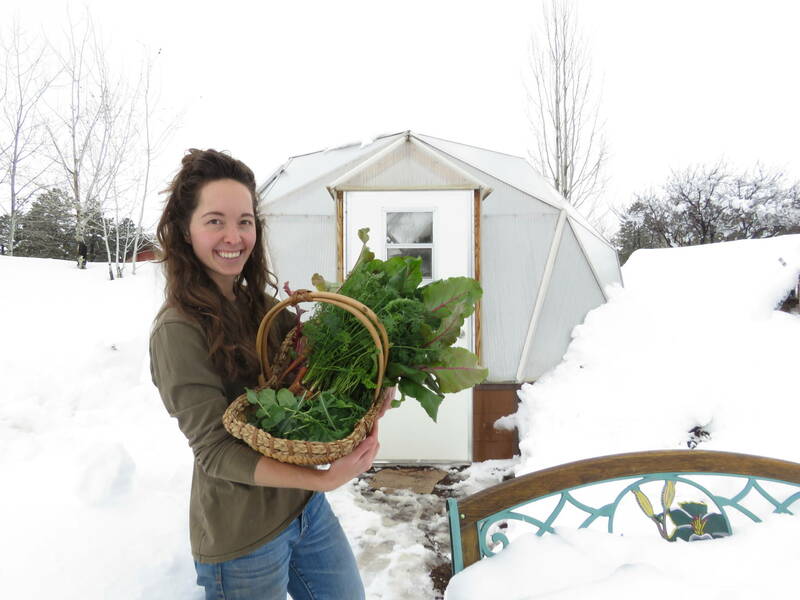 Our Growing Dome greenhouse has withstood over 130 mph winds and over 8 ft of snow in a single storm! Over the lifetime of our Growing Dome, counting the value of the food you can grow, you could realize your investment three or four times over, assuming proper care of the Growing Dome greenhouse kit in the 15-20 year expected lifespan. The Growing Spaces Growing Dome might well be the best investment you could ever make in terms of health, fresh produce, and value for your dollar. What price can you put on the health benefits resulting from eating fresh, enzyme-rich organic food? It has been shown that by simply playing in the dirt, beneficial hormones are released throughout the body. Most of our Growing Dome owners say that just being inside the magical environment and the space, they feel the stress level melting away! Live more with less inside the wonderful world of a Growing Dome from Growing Spaces. Growing Spaces Growing Dome Tours.